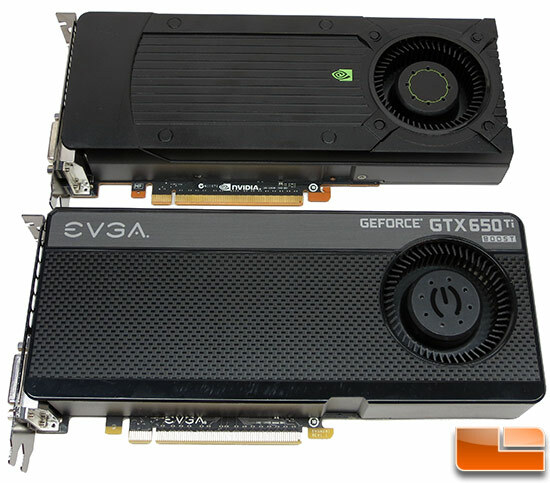 The NVIDIA GeForce GTX 650 Ti 1GB video card launched in October 2012 with a $149 suggested retail price. Here we are just five months later and we have the NVIDIA GeForce GTX 650 Ti BOOST 1GB for $149. The NVIDIA GeForce GTX 650 Ti BOOST is a far better gaming graphics card at this price point and it just goes to show power of eliminating the memory bottleneck and the higher clocks speeds of NVIDIA GPU Boost technology. Owners of the original GeForce GTX 650 Ti video card won’t be happy when they read this, but if you’ve been waiting for something sweet to come out in the $150-$170 price range, you should have finally found it! We also like that NVIDIA included 2-way SLI support on the GeForce GTX 650 Ti BOOST as we like to see multi-GPU support on all $150+ video cards. We found it interesting that NVIDIA is launching the GeForce GTX 650 Ti BOOST 2GB video cards first with cards being available for sale this morning. 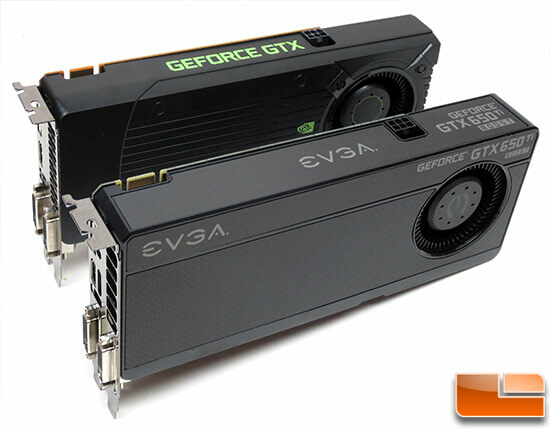 In early April, NVIDIA expects board partners to begin shipping 1GB versions of the GeForce GTX 650 Ti BOOST. AMD announced the Radeon HD 7790 video cards last week, but 1GB versions will be available in early April and 2GB versions will be available in late April. It looks like AMD was able to announce their new $150 video card first, but NVIDIA was able to beat them when it comes to performance and availability. That is just the suggested online prices, so expect to find them even lower when rebates or propmotions are taking place. For example, right now you can buy an MSI GeForce GTX 650 1GB for $114 shipped after rebate. The NVIDIA GeForce GTX 650 Ti BOOST was a strong video card out of the retail box, but we were happy to find that it still had a little overclocking headroom available for enthusiasts to still have fun. We were able to overclock the EVGA GeForce GTX 650 Ti BOOST high enough to hit 1306MHz when gaming and that is pretty impressive. The only downside to the NVIDIA GeForce GTX 650 Ti BOOST is that it uses more power than the other cards at this price point. Idle is where your discrete graphics cards sits most the time and the power consumption is good, but when gaming it is around 40 Watts higher than what we see on the Radeon HD 7790, which is this cards main rival. You have to keep in mind that the TDP on this card is 134 Watts though, so the power numbers are where we’d expect them to be for a card of this power. At the end of the day the NVIDIA GeForce GTX 650 Ti BOOST is a great graphics card that starts at $149. It’s basically a GeForce GTX 660 with fewer cores! This card looks like it will dominate the $149-$169 price range and might even cause AMD to adjust some prices in the near future. 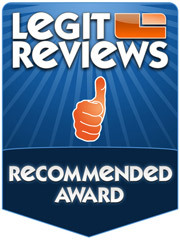 When companies get into price battles over your hard earned money it means you get more bang for your buck! Legit Bottom Line: The NVIDIA GeForce GTX 650 Ti BOOST is basically a GeForce GTX 660 with one SMX unit disabled for $30 less money. The performance of the card is impressive, GPU temperatures are solid and it has some overclocking headroom available!